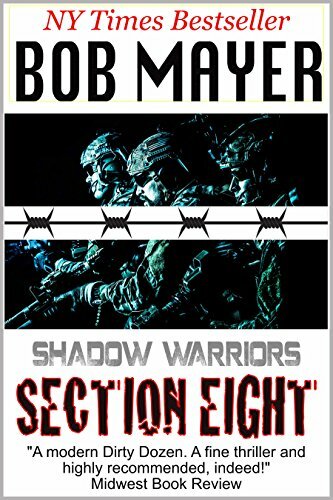 Section 8 is the lead-off novel in another one of Bob Mayer's action-thriller series - The Shadow Warriors. The book moves along at a brisk clip with all the military strategy, hardware and technology you expect from the genre. 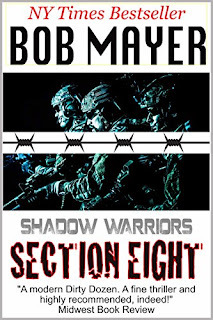 Section 8 is a good introduction to the Shadow Warriors series and I WILL be looking for sequels. Mayer always makes me want to read more without doing that cheap trick where the story is left unfinished. All of Bob's novels are complete in and of themselves, but he draws his characters so well that you want to come back later and see how they are doing in the new sequel. Mayer knows his military hardware and tactics. He's a worthy successor to Tom Clancy against whom all action-adventure thriller writers will continue to be measured. 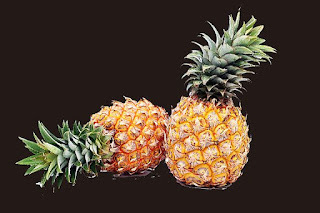 Really nice work, Bob.